The value was good and delivery was excellent. Very sturdy and has so many musical features built in. 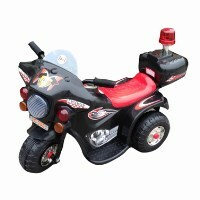 I puchased this for my 2 year old grandsons and they love it.One on keyboard and the other on microphone. Excellent value for money would recommend this product. Great family sized cooker. Works well, cleans up easily. This is a great product at a great price so good we bought 2 one for home and one for the caravan they are safe clean and easy to use love it. Great value for money , ideal size for little ones , easy to operate with lights and sounds , my grandson loves it !